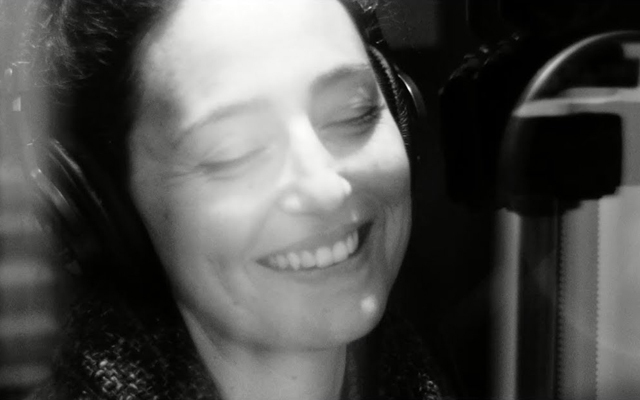 “Vocalastics” is the only way in which to describe the art of Olivia Foschi. If the epithet suggests elements of “gymnastics” with an extreme degree of “elasticity” then one might note that both words are somewhat restrictive as so broad Miss Foschi’s gifts and acquired skills (even if her register is narrow – she boasts a contralto like raw silk) are so broad that they even include the impossibly difficult art of konnokol by studying Carnatic music and heaven-knows what else. Certainly Miss Foschi can bend and twist phrases – with both rhyming and non-rhyming endings – and make it all sound as completely invented as vocalese. Add to this the fact that her voice seems to melt into a realm that represents different aspects of contemporary music and its contrasting styles – one dramatic and programmatic, the other improvisational and transcendent. There are two other factors that set this disc Fleeting Windows apart. The first is the superlative Ulysses Owens Jr, who acts not only as producer, but maintains a timekeeping that is at once both tightly-controlled and loose and free. It is this rhythmic matrix that helps ensnare the melody which Miss Forschi delivers with uncommon eloquence and the harmony which comes via a super-constellation of musical stars including Gil Goldstein, Billy Test, Daniel Dickinson, Alex Sipiagin, Joseph Doubleday, Yotam Silberstein and Marco Panascia. Over and above Mr Owens contributes uncommon improvisations on the songs. “Quiet Now” is an extraordinary example. But it’s Miss Foschi who steals your heart. 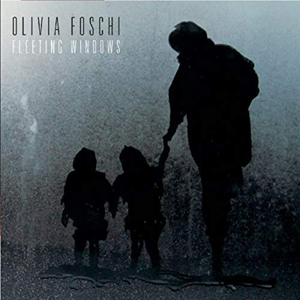 Miss Foschi sounds elegantly rhetorical without an ounce of sentimentality, musical without being self-conscious bringing much to this repertoire – her own compositions being particularly exquisite showpieces. Her vocalastics are thoughtful and each highly textured improvisation dissolves into a style all her own – listen to how the lyrics of “Look for the Silver Lining” are underlined by a kind of ghostly whispered konnokol improvisation and how she is able to keep the jibber-jabber of her vocalese in tune and in time with everyone else on “Tiny Toes”. The two songs are touchstones of the programme – homages to vocal art that has spanned the decades since it was the likes of Billie Holiday, Ella Fitzgerald, Abbey Lincoln, Sarah Vaughan, Betty Carter, Eddie Jefferson and Jon Hendricks revolutionised it by opening the sluice gates to improvisation. And Miss Foschi can sing both a lullaby and a ballad with utter tenderness holding notes and syllables (“My Life” is the song to hear this unfold.